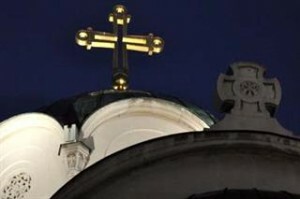 The Serbian Orthodox Church (SPC) Holy Assembly of Bishops announced on Tuesday that the suffering of Serbs in Kosovo-Metohija (KiM) continues, that the latest negotiating process in Brussels did not yield a solution for the problem, and that the SPC will continue to offer support to the Serbian government and parliament in preserving churches and monasteries and Serbia’s integrity in that province. “The Assembly notes with regret that the international protectorate, presence of NATO forces in KiM and the latest top-level negotiations in Brussels did not bring about justice or a solution for the problem,” the Assembly said in a release after its regular session. After the destruction and desecration of Orthodox churches and monasteries, expulsion of hundreds of thousands of Serbs, human organ trafficking and similar crimes in Kosovo-Metohija, the Serbs are now being subjected to a somewhat softer violence – barbarian destruction of gravestones, killings, attacks on properties and everyday threats. In order to learn more about the efforts of the government and other state bodies, the Assembly asked First Deputy Prime Minister Aleksandar Vucic to visit the Assembly session, says the release. During the visit, it was agreed that despite differences in approach to certain issues, there is unity and consensus when it comes to the commitment to the future of the Serb people in Kosovo, the preservation of churches and monasteries and the integrity of Serbia, which means a refusal to either directly or indirectly recognize the phantom statehood of Kosovo outside of Serbia, reads the release. The Assembly assured Vucic that the government and parliament can count on the Church’s full support, within its competences and capabilities, reads the release. Vucic attended the Assembly session on Friday. The regular spring session of the Assembly of Bishops, the SPC legislative and judicial body, took place at the Patriarchate in Belgrade and Nis from May 21 to June 3.